Give It Away Wednesday! More Great Giveaways!! Happy April Fool’s Day!Here it is another week of great giveaway I have found throughout blogger world. Remember in order to enter the giveaways make sure you go to those individual sites. Mama Makes Money has a kitchen set (in yellow) from Carolyn’s Kitchen that I LOVE up! 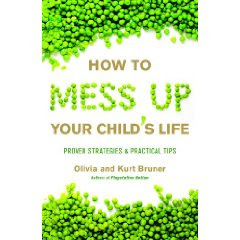 Two of a Kind Working on a Full House has ‘How to Mess Up your Child’s Life’ book! Annies Home has shoes from Bugaboo in your choice! 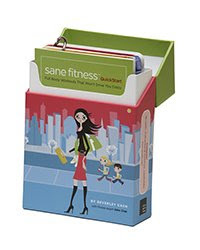 A Nut in a Nutshell has these awesome exercise cards from Sane Fitness! 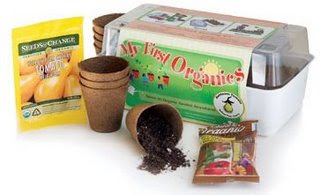 Mama’s Money Savers has this great “My First Organics” kit! 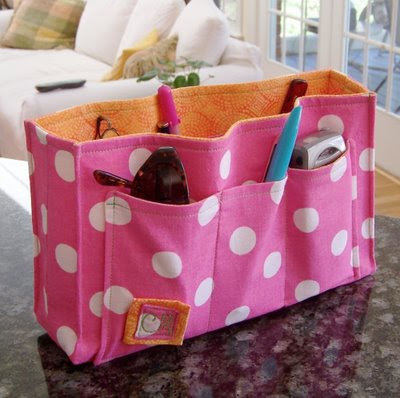 Mommy Works has these great purse organizer made by Sweetbriar Studio. 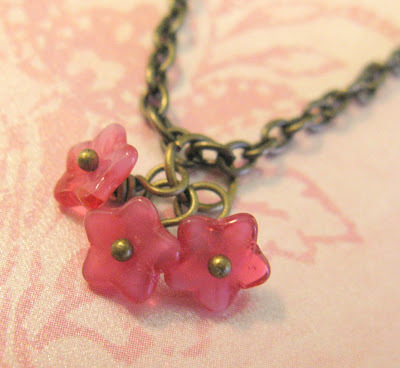 Wavecloud has this pretty spring necklace from HER shop! Isn’t it lovely! 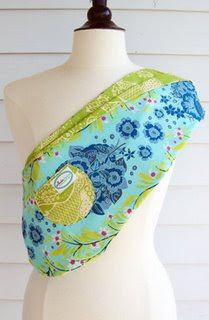 Wishing Willow has a gorgeous baby sling from Polkadot Papoose. Now, Mr. Linky if you have never used this what I need you to do is where it says “Your Name” put the title of your giveaway with the ending date. “your URL” Needs to be the link to the giveaway NOT your blog in general. Feel free to let other people know they can post their giveaways here too! **Just hit refresh to get the box back**If you wanna spread the spread and let people know 🙂 I’d appreciate it! Thanks! I am giving one away tomorrow!!! Come by and enter! I’ve found your blog via Entrecard; you’ve dropped an EC on my blog All Writing Ideas. Thanks for the visit! I have to say that I love your blog’s layout. And I also liked this giveaway selection. I’m going to visit a few of thse sites. Thanks for the Mr Linky! Can you please delete #35, I messed up the end date its 7th not 10th. Thanks!